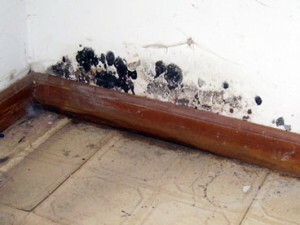 Mold remediation Macomb Twp Mi is another business and home-owner problem to deal with. Repair truly needs a different set of skills because it is not a simple water intrusion. 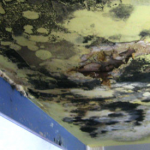 Timely response is essential when it comes to mold growth, whether it is a simple or complex case. If you think that the water intrusion problem has already escalated to the point of mold growth, shut off your water supply. Drying the area will help slow down mold growth. Macomb Township is a northern suburb of Detroit in Michigan. It is the fastest growing major municipality in Macomb County. Despite the rapid development of this place, it remains a close-knit community, so anyone who wants to raise a family in a friendly environment will find Macomb Twp to their liking. It is surrounded by lakes which makes it more susceptible to mold in the hot summer months of Michigan. Though a relaxed lifestyle is to be expected, residents may also need to deal with common home problems like water damage Macomb Twp MI. It is not necessarily due to severe weather conditions because water problems can occur anywhere, rain or shine. What is important is to fix the problem right away to avoid complications. At the first signs of water damage, inform your insurance provider. They will determine if you need professional help. If you do, choose a company that is in your area. Every water problem is considered an emergency case and needs immediate attention. The problem with water intrusion is that it sprouts into other related problems the longer you wait to get it fixed. A moist environment can lead to mold growth which can lead to health complications. Identifying the area of contamination, its extent of damage and level of moisture must be done soon to come up with appropriate solution. After the assessment, a plan of action must be established. It can be a complex procedure. The environment must be controlled, that is, the moisture level must be monitored so that no new mold growth will occur. At the same time, mold should be eliminated. Affected materials must be removed and assessed for damage. After these initial steps, evaluation is performed to determine if the mold remediation has been successful. The next steps depend on the result of the evaluation. When mold colonies have been completely eliminated, the source of the water problem must be fixed as well to prevent recurrence. The moisture level will also be assessed, controlled and find ways to stop the mold from growing back. No matter how simple or small an area is affected, if you don’t have experience in mold remediation, you are better off hiring Rapid Recovery Service. Rapid experts can provide you assistance in every area of damage repair. Staff are qualified to assist with inspection, dealing with Insurance Agents, structural and contents repair. 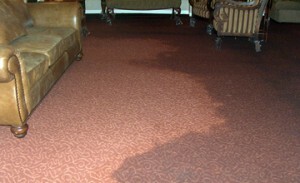 Water damage Macomb really can be prevented. Aside from regular home maintenance, homeowners should keep their homes at a moisture level where mold growth is not possible. Bathrooms, basements and kitchens are usually prone to higher moisture level. Add ventilation if needed or install dehumidifiers. Clean every room in your house regularly as well. If you inspect each room often, you will be able to notice emerging problems and should be able to fix it right away.